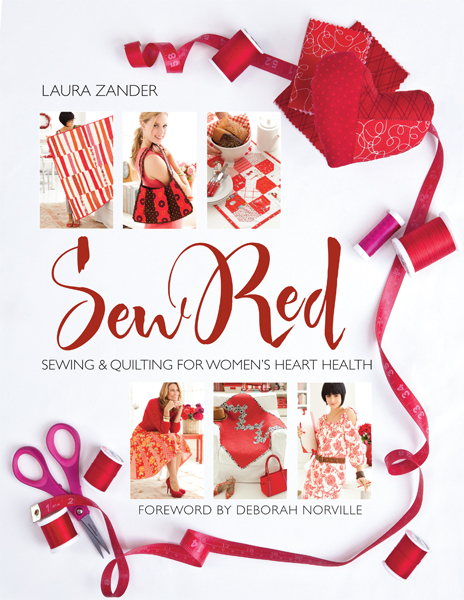 With 28 gorgeous quilting, home decorating, apparel, and fashion accessory projects from sewing luminaries (who also share their personal experiences with heart disease), along with heart-healthy tips, exercises, recipes, and reading lists, Sew Red is a book that will touch, and maybe save, your heart. A portion of the proceeds will be donated to the Foundation for the National Institutes of Health in support of The Heart Truth®. 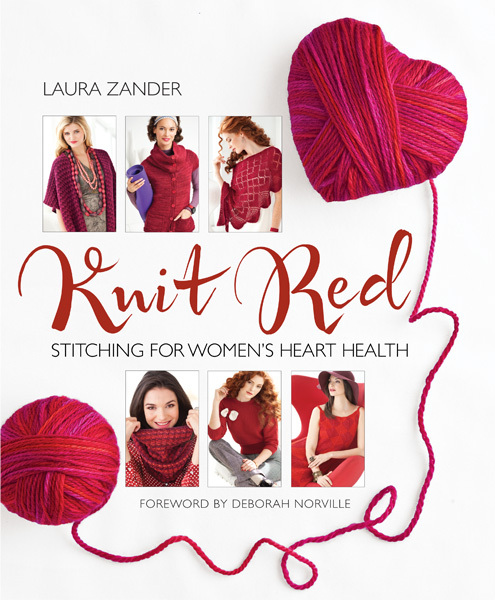 The follow-up to her first book, Knit Red, Sew Red by Laura Zander is more than just a sewing project book—it's an appeal to women to take charge of their heart health. Sew Red features the inspiring projects of more than 25 sewing and quilting celebrities, including Amy Butler, Denyse Schmidt, Anna Maria Horner, Ty Pennington, and Kaffe Fassett, along with profiles in which they share their experiences with heart disease and tips for staying heart healthy. Sew Red is part of Stitch Red, a campaign started by Jimmy Beans Wool founder Laura Zander and involving key players in the fabric and sewing industry to help educate sewers and quilters and their friends and families about the dangers of heart disease. Zander has partnered with The Heart Truth®, a public-awareness program sponsored by the National Institutes of Health, which will receive a portion of the proceeds from the sale of the book. Includes three full-size pattern sheets.